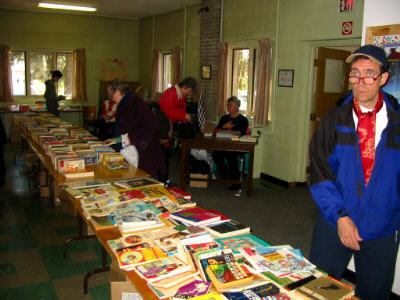 The Summerlea United / St. Andrew's Presbyterian garage & book sale was held Saturday, May 3 from 9 AM to 2 PM on a cool, sunny day. 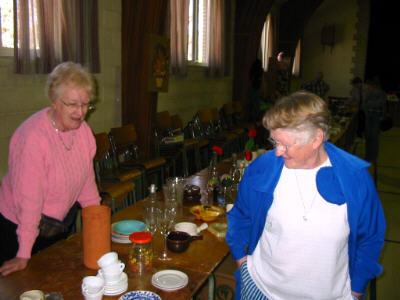 On Friday we caught stalwarts Marion Golden, Janet Smart, Undeg Edwards and Kathy Worsnip setting up and pricing the stuff, but we did not catch them on camera. 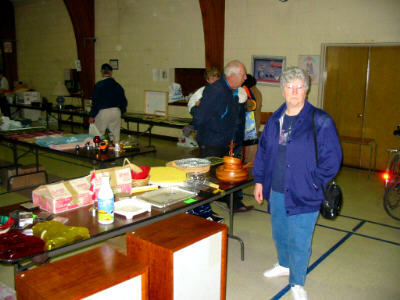 On Saturday we did catch some of the folks at the sale, shown below. 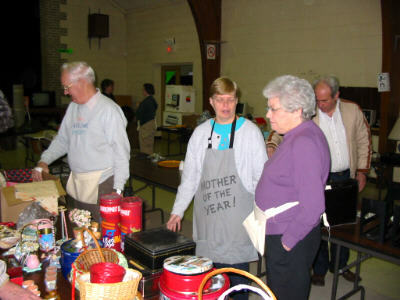 Our thanks to all those who organized, set up and put away, and staffed the tables for this event, the proceeds of which go to the Outreach Committee for continuing community work. 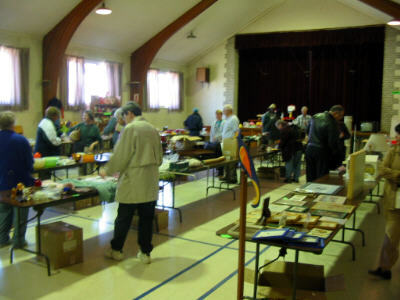 The garage sale was in Acadia Hall. 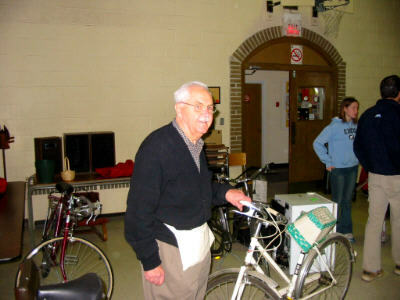 Jack Hill in the bicycle booth. 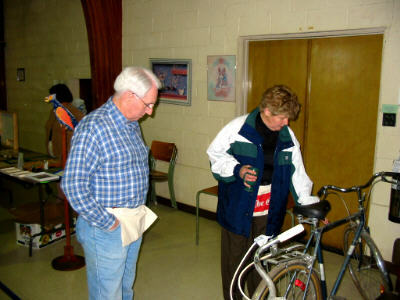 David Pryce observes as Marion Golden checks out a bicycle. Ina Hall and client Lucy French. 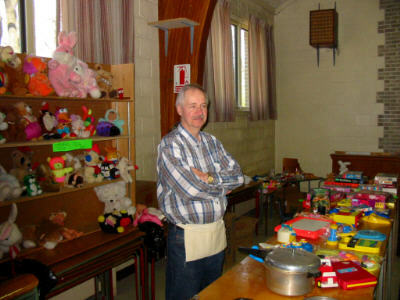 Richard Legault in the toy booth. 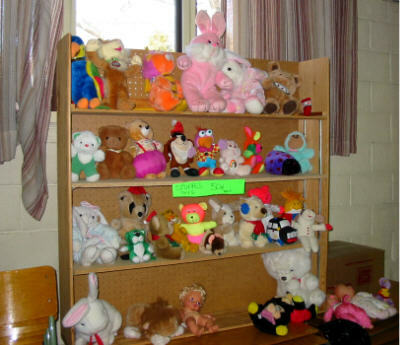 Some toys had a better view of things. Lewis Guynan, Laurie Ronacher and Muriel Hill. 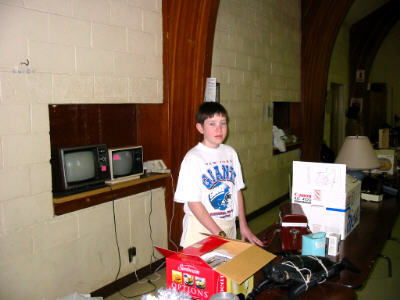 Gregory Legault at the electronics table. 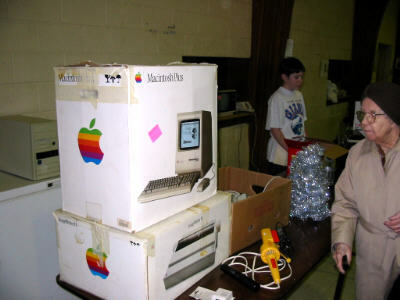 A Mac computer in the box! A few of the clients. 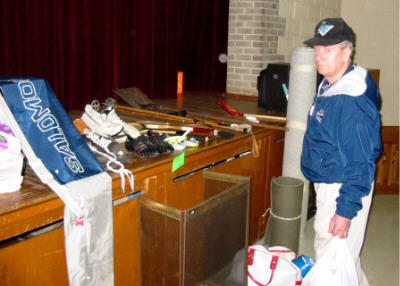 Client Pat Gotch checks out the sporting goods. Nancy Mark, Nancy's parents Donald & Ruth MacDonald & Jeanne Moore at the book bosses' table. 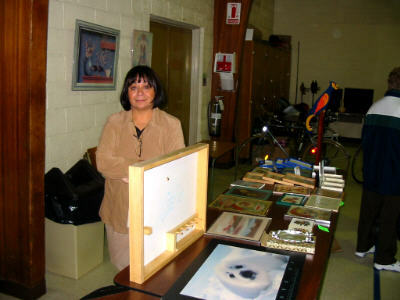 One of the book tables and client. 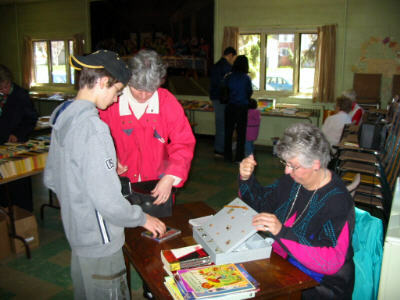 Jacob Osborne has found some books for Mom Connie to finance at Michèle Bitauld's checkout table. 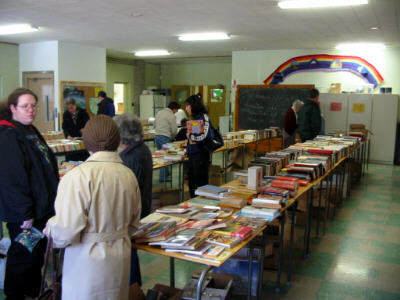 And a final shot of the book room.